At Allegacy Federal Credit Union, we’re committed to helping you be your best you. That includes helping you find a personal mortgage solution that fits your lifestyle. We know that buying a home — especially for the first time — can be intimidating. But it can also be a great investment, since most homes increase in value over the years and give you tax benefits. And, with competitive rates and lower fees, Allegacy’s mortgages are easy to live with! You don’t have to go through the homebuying process alone. We’re here to guide you toward greater savings and smarter choices that will ensure many happy years at any address. Download your free evaluation forms now! Easy-to-follow forms to help you on your journey. Let's get started. Make yourself at home. Ensure the Loan Officer is accessible to meet with you face-to-face and available to answer questions throughout the process. Are lending decisions made locally? Do they service their loans after the loan closes? All very important questions — and at Allegacy, the answer is YES to all of the above! A fireplace? Laundry room? Screened porch? Open concept? Garage? Basement? Multi-level? A knowledgeable, experienced Realtor can save you time — and stress! But be sure to download our helpful evaluation forms to help get you started. Your Realtor can help with both of these. Deliver your signed Purchase Contract and items requested by your Lender to start the loan process. A home inspection is not a loan requirement but always a good idea. This person evaluates the property to see if there are any issues that could affect the value. A licensed appraiser performs a thorough appraisal of the home and determines the market value of the property. Once your appraisal and required loan documentation has been reviewed by an underwriter, your next step is to prepare for the closing! 14. Throw a housewarming party! With competitive rates and lower fees, Allegacy’s mortgages are easy to live with. We’ll work with you to find a solution that fits your lifestyle. The costs you’ll pay at the time of purchase. These include things like the origination fee (usually 1% of your loan amount), commitment fee, appraisal fee, attorney fee, title insurance, homeowners insurance, recording fees, flood certification fee, etc. The amount of the purchase price that you’re paying up-front. Typically, lenders require a specific down payment in order to qualify for the mortgage. Making early or extra payments towards the principal. Prepayment can shorten the length of your mortgage and lower the total amount of interest you pay over time. The amount of money that you borrow for your mortgage. The difference between the value of your home and what you still owe on your mortgage loan. AKA “hazard” insurance. Before you close on your mortgage, you will need to purchase a one year homeowner’s insurance policy with the minimum dwelling coverage of your loan amount. Insurance that protects the lender if you stop making payments on your loan. Required for loans with less than 20% down payment and the premium is paid in your escrowed portion of your monthly payment. The monthly amount that is equivalent to 1/12th of your annual property tax bill and 1/12th of your homeowners insurance premium that is added to the principal and interest portion of your payment. If you borrow more than 80% of your home’s value/purchase price, you’ll be required to pay a monthly premium for Private Mortgage Insurance (PMI) in your escrow payment. Luckily, Credit Union PMI rates are significantly lower than other mortgage providers! The origination fee for a mortgage loan is part of the closing costs to be paid by the Buyer and is typically 1% of the loan amount. Origination fees are usually broken down into mortgage points, which are expressed as a percentage of the loan amount. So if the loan amount is $100,000 and theres a $1,000 origination fee, you are paying a 1% origination fee/point. Our goal at Allegacy is to help you take control of your finances while reaching your personal goals. If you want to make your housing dollars go further, there’s no better place to start than Allegacy. 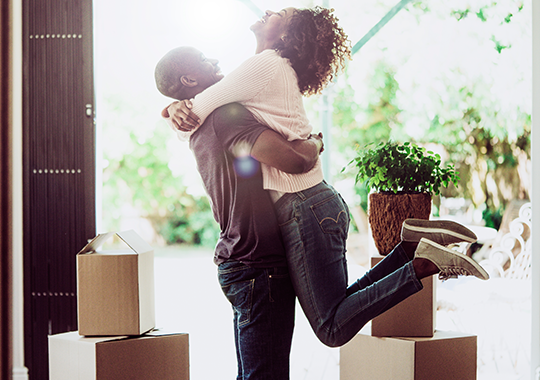 We’re ready to help you find the right home, so you can continue to thrive — and make new memories — for years to come.